Making the best use out of parts washing equipment is a major concern for many pharmaceutical product manufacturers. Parts washing processes for medical equipment and sterile product containers can easily become a bottleneck in the pharmaceutical manufacturing process—especially if the stainless steel baskets being used to wash medical equipment aren’t making the best use of the available space in a washing tank. Sometimes, a pharmaceutical manufacturer needs to process different types of medical equipment or containers at once—but cannot put these products into the same basket at the same time. So, to make more effective use of space in their washing equipment, the manufacturer decides to process multiple stainless wire mesh baskets at once. However, to do this successfully, the baskets generally need to be designed to stack or connect from the start. 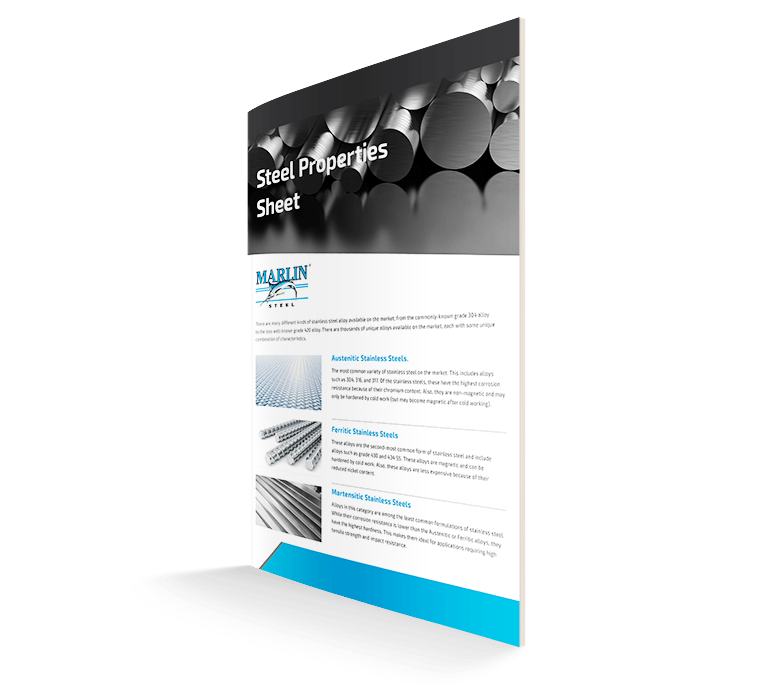 Recently, a pharmaceutical manufacturer approached Marlin Steel looking for a custom wire mesh basket to complement their existing parts washing baskets and allow for multiple baskets to be processed in a single parts washing cycle. This would, in turn, allow the manufacturer to process several different kinds of pharmaceutical products/containers simultaneously, enhancing their manufacturing efficiency. However, the new baskets would have to work alongside the client’s existing baskets. One of the key concerns in this client’s wash process was that there was an extremely limited amount of space available at the sides of the wash tank/cavity to fit the parts washing baskets. If the baskets extended too far from the sides of the wash tank, they would interfere with the other baskets that would be loaded. If the baskets were too small, then they wouldn’t make the most efficient use of the available space. So, Marlin’s engineers needed to know the exact amount of space that would be available for each basket. Also, Marlin’s engineers needed to know what kinds of parts the wire mesh baskets would hold—specifically their size, shape, and weight. Having this information would help Marlin’s engineers create baskets that would fit in the wash tank comfortably without obstructing the client’s other baskets or impacting the effectiveness of their parts washing process. It was one thing to design a basket that would fit into the sides of a washing tank—it was another thing altogether to hold that basket in place throughout a parts cleaning process. Thankfully, the sides of the washing tank had special hooks for holding objects. However, Marlin’s design team needed to make sure that the custom wire baskets would be easy to both hang up and remove, while remaining secure throughout the wash process. To achieve this, Marlin’s engineers added two sheet metal plates with keyhole-style openings. The large bottom portion of the hole would easily slip over the hooks in the sides of the tank, while the narrow top portion of the hole would keep the basket from slipping off. Once the wash process was finished, the client’s employees could easily lift the baskets up and off the hooks in the tank’s sides. Naturally, to optimize the throughput of the parts washing process, the basket needed to ensure that the pharmaceutical components it held could be cleaned consistently. So, the liquid from the aqueous wash process needed to reach the components easily and drain away completely once the wash cycle finished. To minimize interference with the wash process, the basket was designed to use wire mesh to hold parts in place while letting water through with ease. Instead of an ultra-fine wire mesh, the basket used somewhat thicker wires with plentiful open space between each wire. This would help ensure that each individual wire was strong enough to withstand the weight of the parts held by the basket. A series of thicker vertical metal wires was added to reinforce the structural integrity of the basket as well. Some of the client’s parts were especially dense, however. These parts would be difficult to retrieve from a deeper basket. Meanwhile, other parts were large enough to demand a taller basket. 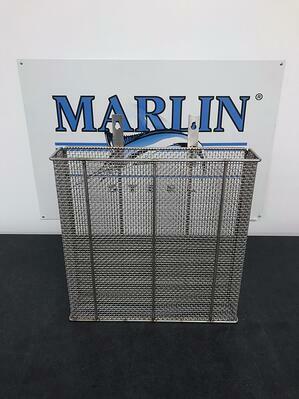 To accommodate both types of parts, Marlin’s engineers decided to make two different stainless steel wire mesh baskets. The short basket would hold the client’s small but dense components while the tall basket would be for longer objects (such as scalpels or tubes). This helped the client cover the full range of products for their parts washing process with customized solutions that enhanced efficiency. Once the designs were completed, they were tested using virtual physics simulation software. Only after passing the virtual testing were wires unspooled, shaped, cut, and welded into the custom parts washing baskets the pharmaceutical manufacturer needed. This helped to ensure that the baskets were the perfect fit for the job without having to waste months of development time on physical prototypes. The end result? A set of custom stainless steel wire baskets that fit the client’s needs perfectly delivered in a fraction of the time traditional prototyping and testing would take.